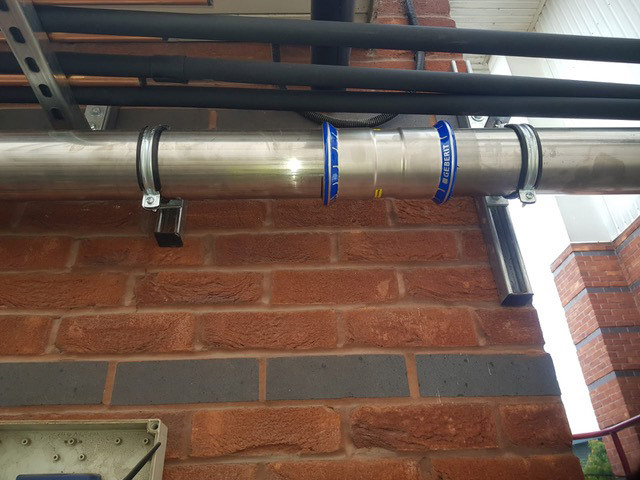 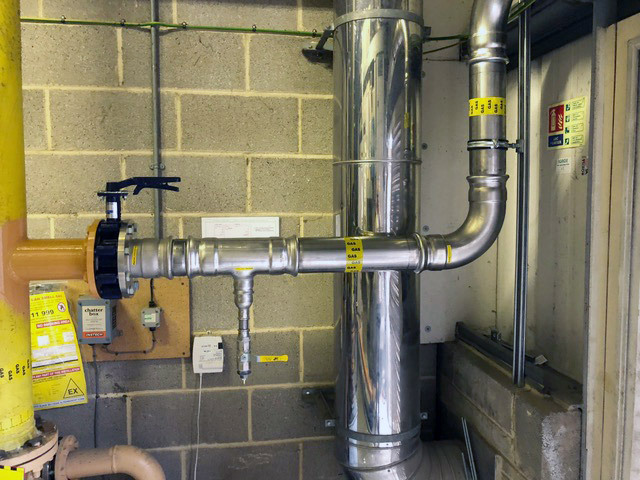 The team carried out some very tidy welding on the 4-inch branch that we tied in to the existing 6-inch gas line with the remainder of the natural gas pipework being run in Geberit stainless steel pipework and fittings. 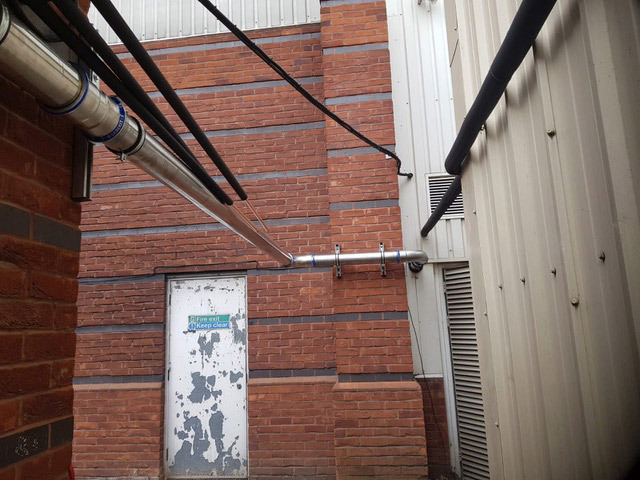 The final connection was carried out by hot-tapping the service as this ensured the least amount of down time possible, which was critical on this project due to £27m’s worth of stock in the warehouse (and all the product temperature critical). 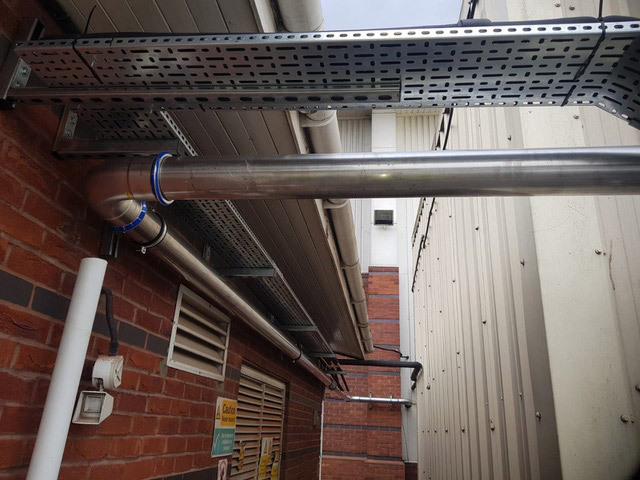 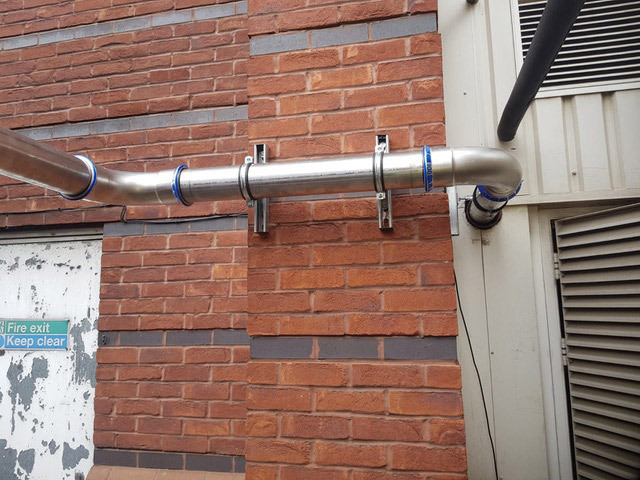  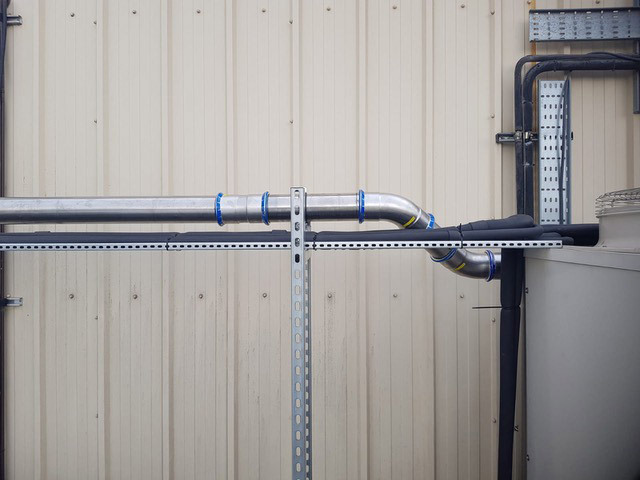 The Air Handling Unit served by the GHPs is housed on the first floor of the warehouse, which made running the refrigerant pipework an interesting challenge, but nothing that our capable team couldn’t figure out. 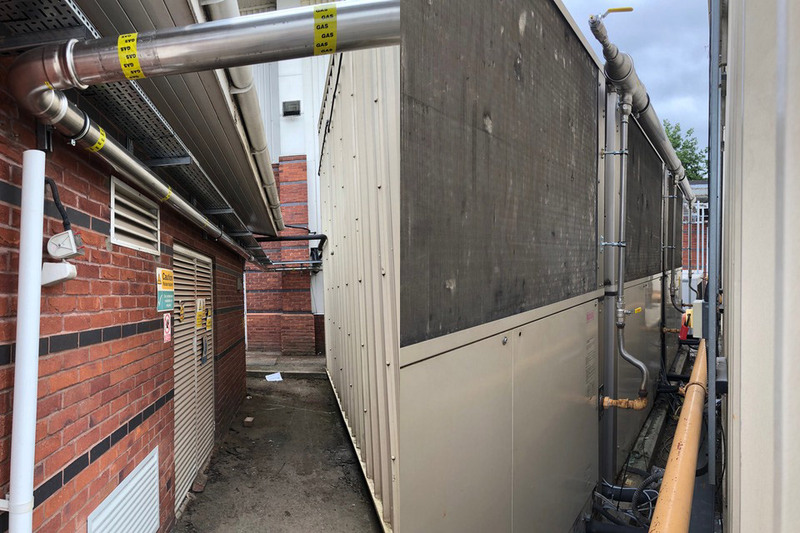 These GHPs are fantastic units as they give customers the option to introduce additional cooling capacity into a property where the electrical capacity has already been utilised for other applications. 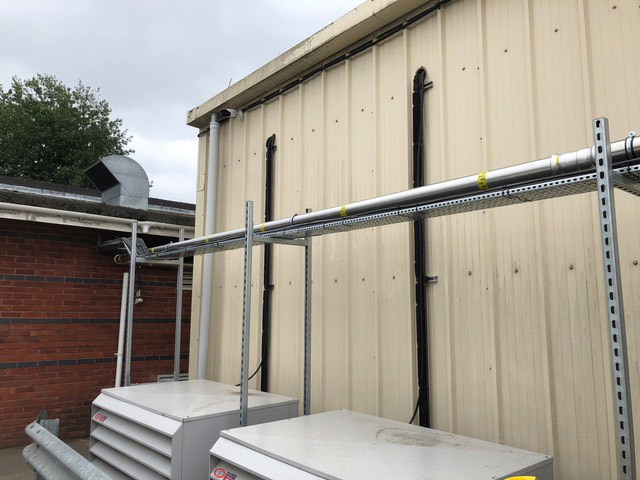 You can CLICK HERE to read up a bit more about these units.